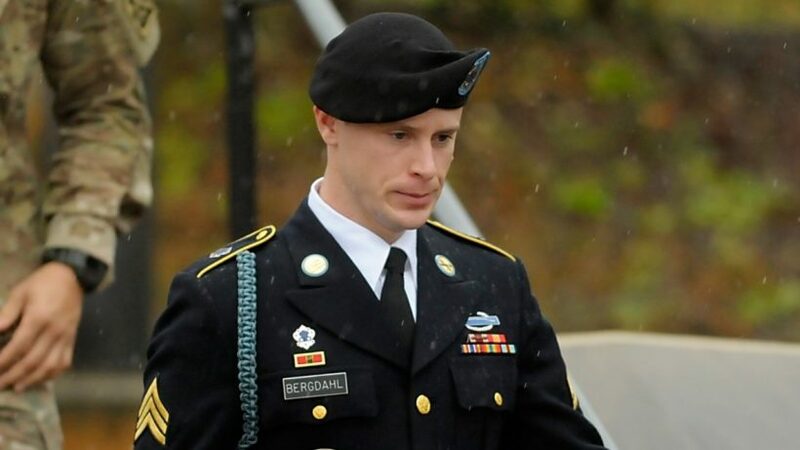 US Army Sergeant Bowe Bergdahl pleaded guilty to desertion charges. (by Rebecca Kheel, The Hill) – U.S. Army Sgt. Bowe Bergdahl will not serve any prison time for deserting his post in Afghanistan in 2009, a military judge ruled Friday. The judge, Col. Jeffrey Nance, sentenced Bergdahl to a reduction in rank to private, a payment of $1,000 per month for 10 months and a dishonorable discharge, according to multiple reports. Prosecutors had recommended a sentence of 14 years in prison. Defense attorneys, meanwhile, asked for no prison time, citing Bergdahl’s time in Taliban captivity (and instead asked the judge to give him a dishonorable discharge.) Following the sentencing, however, Bergdahl’s lead defense attorney Eugene Fidell told reporters outside the courtroom that he’ll appeal the dishonorable discharge. Bergdahl’s defense lawyers twice tried to have the case dismissed over comments from the campaign trail, when Trump repeatedly called Bergdahl a traitor who should be executed. “We’re tired of Sgt. Bergdahl, who’s a traitor, a no-good traitor, who should have been executed,” Trump said at an October 2015 rally… “Thirty years ago, he would have been shot,” he added. In an emotional sentencing hearing over the past week, prosecutors called soldiers who were seriously injured in the search for Bergdahl. Among those who testified was the wife of a soldier who was shot in the head and suffered a traumatic brain injury that left him unable to speak. 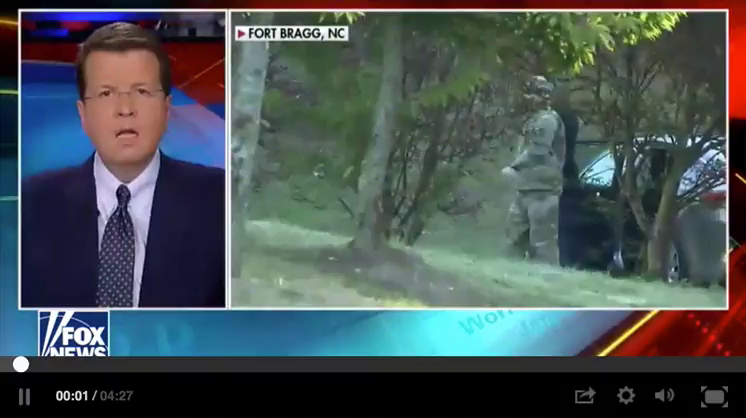 1. a) What charges were brought against Bowe Bergdahl? b) How did he plead? 2. a) What maximum sentence did Bergdahl face? b) What sentence did prosecutors recommend? 3. What sentence did Bergdahl’s lawyers ask the judge for? 4. What sentence did Bergdahl receive from the judge, Col. Jeffrey Nance? 5. a) Define desertion and misbehavior before the enemy. b) What is the punishment for these actions in the military? c) Bergdahl pleaded guilty to the charges against him. Considering the military punishment for these actions, do you think Bowe Bergdahl’s sentence is correct? Explain your answer. 6. a) Following Bergdahl’s sentencing, President Trump tweeted, “The decision on Sergeant Bergdahl is a complete and total disgrace to our Country and to our Military.” Opponents say the President has no right to voice this opinion. As president of the United States, Mr. Trump is the Commander in Chief of the U.S. Armed Forces. What do you think of his tweet? Appropriate or not? Explain your answer. c) Ask a parent to answer a) and b). Discuss your answers. The maximum U.S. penalty for desertion in wartime remains death, although this punishment was last applied to Eddie Slovik in 1945. No U.S. serviceman has received more than 24 months imprisonment for desertion or missing movement post-September 11, 2001. A U.S. service member who is AWOL/UA may be punished with non-judicial punishment (NJP) or by court martial under Article 86 of the UCMJ for repeat or more severe offenses. Many AWOL/UA service members are also given a discharge in lieu of court-martial. Any person found guilty of desertion or attempt to desert shall be punished, if the offense is committed in time of war, by death or such other punishment as a court-martial may direct, but if the desertion or attempt to desert occurs at any other time, by such punishment, other than death, as a court-martial may direct. Misbehavior before the enemy shall be punished by death or such other punishment as a court-martial may direct.